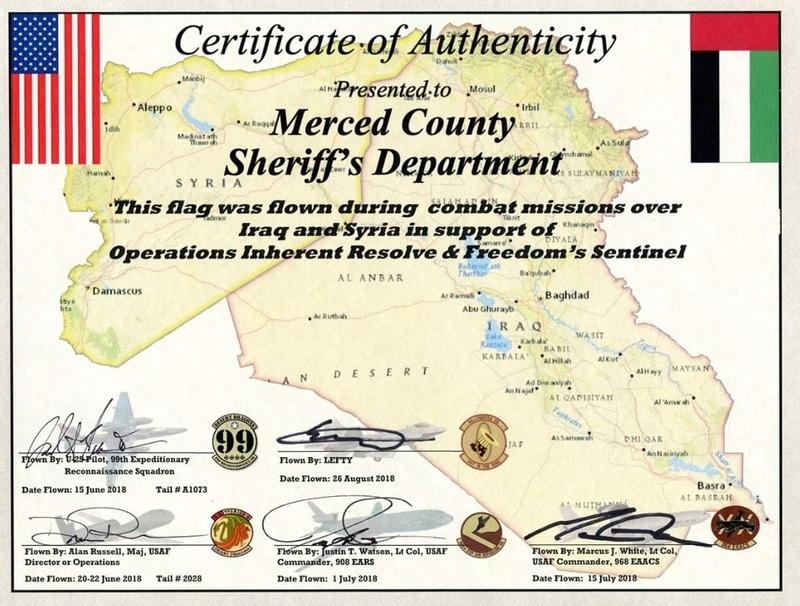 On November 13, 2018, United States Air Force Staff Sergeant Savi Sohal presented Merced County Sheriff Vern Warnke with a flag that was flown during combat missions over Iraq and Syria. 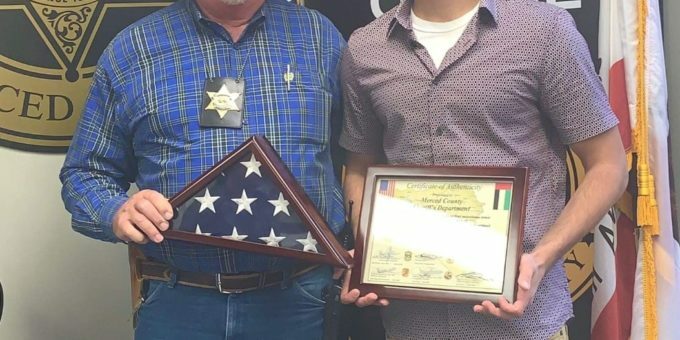 Sheriff Warnke accepted the flag on behalf of Merced County Sheriff’s Explorer POST #322. 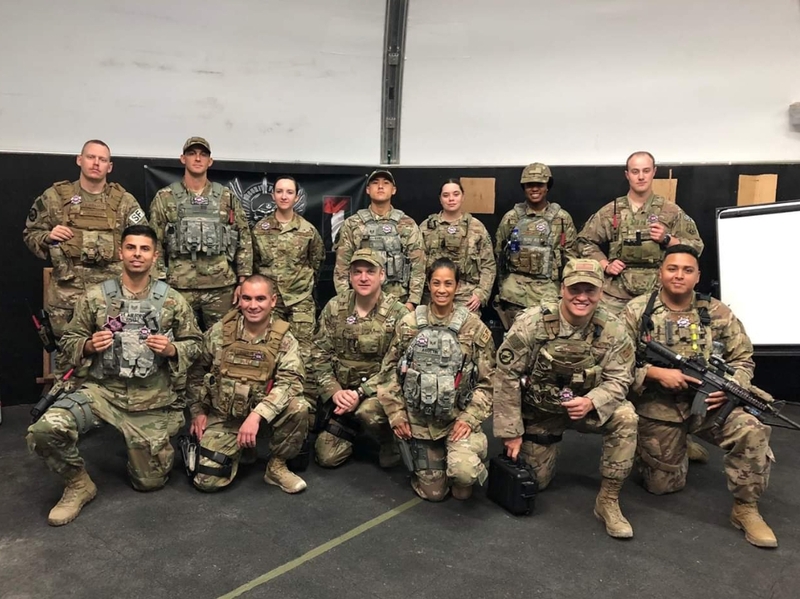 The Sheriff’s Explorers sent care packages to troops overseas to show their support for everything our armed forces members sacrifice.